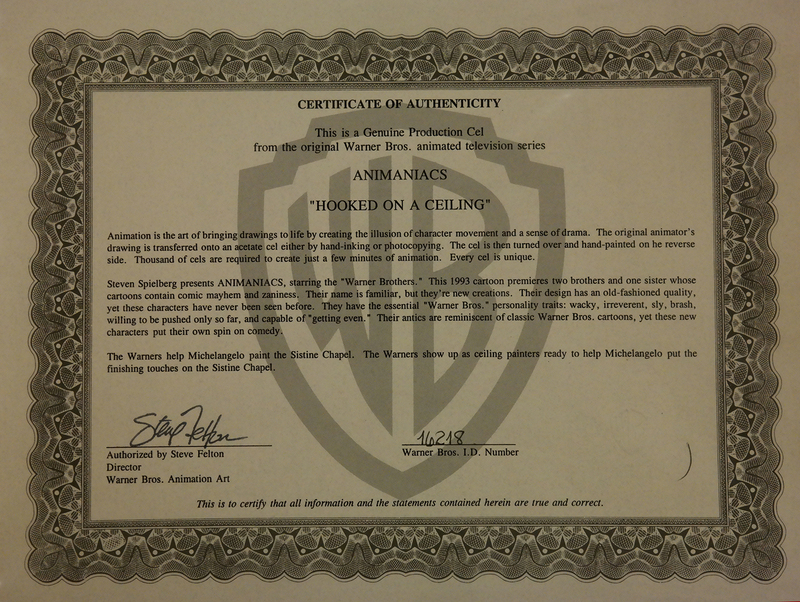 This is an original Production Cel from the Warner Bros. Studios production of the 1993 episode of Animaniacs, Hooked on a Ceiling. 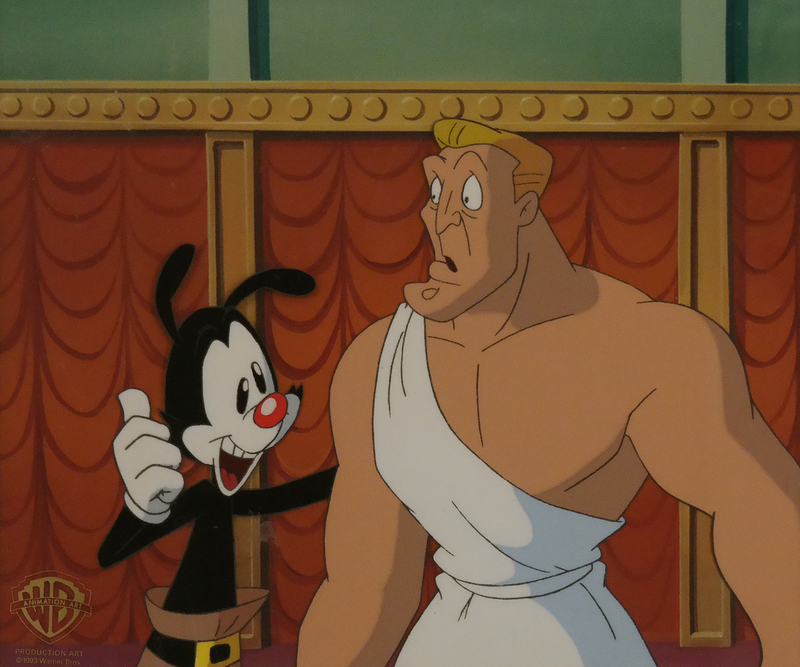 This Production Cel features Yakko and Michaelangelo and was created at the studio and used during the production of the film. The overall measurements of the framed piece are 16.5" x 19.5", the mat opening is 8" x 9.5", and the image itself measures 6.5" x 8.5". The laminate on the frame is peeling in areas. 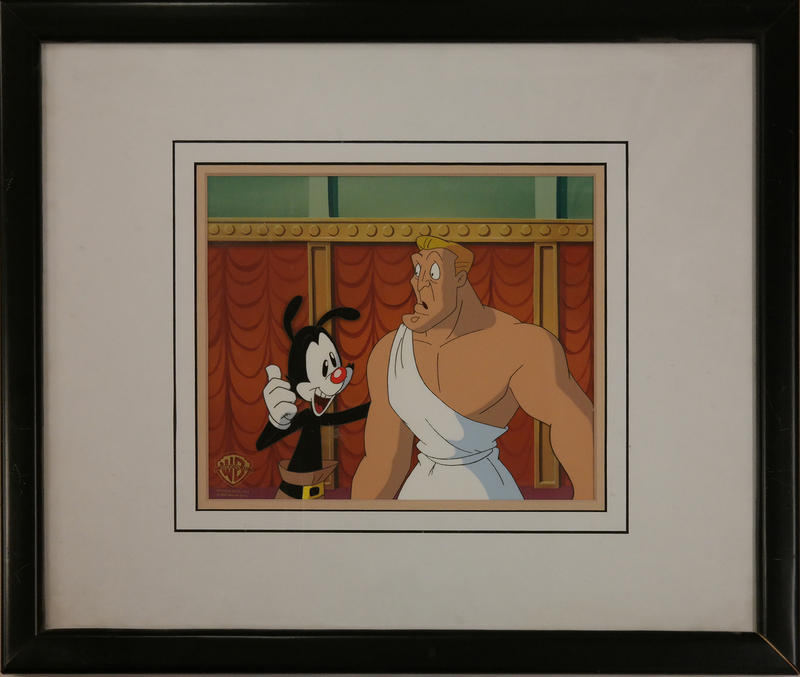 The cel is paired with a color copy background.